For nearly 20 years, I have loved classic cinema and learned so much from it. Costume design is probably at the top of that list. Adrian, Banton, Orry-Kelly, Travilla...the list is long and distinguished. 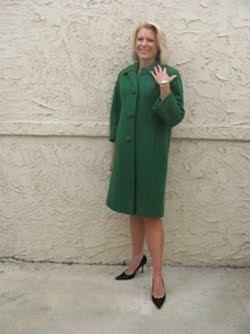 But my favorite designers are two women--Edith Head and Helen Rose. At a time when costume design was dominated by men, Edith headed the costume department at Paramount and Helen was at the helm at MGM. Both dressed the biggest stars in the world. MGM, for one, was known for having "more stars than there are in the heavens." Since Edith and Helen worked during the same period of time and were both so capable at capturing simple elegance for women's clothing, there does seem to have been a bit of a rivalry. This was unquestionably fueled by Grace Kelly asking Helen--not Edith--to design her wedding gown to Prince Albert of Monaco. Grace's slight of a designer like Edith Head, someone who was so instrumental to Grace's career, speaks volumes of Helen Rose's talent. Elizabeth Taylor was another big fan. And why not? 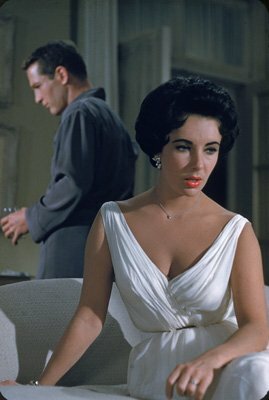 One of Helen's most inspired designs (and most copied) is her breezy white cocktail dress from Cat on a Hot Tin Roof. You can see it in the photo above. 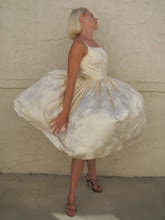 There is also the famous form-fitting Maggie the Cat white silk slip. I'm also a huge fan of the blouse, pencil skirt, pumps, and handbag Liz sports early in the film. Loved the hint of orange in the belt. ...and then look what I found. 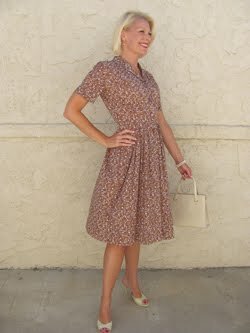 Though I absolutely adore vintage, occasionally I cannot resist a modern dress that is perfectly designed. This one from J. Crew comes pretty darn close. Classic. Simple. Elegant. As I do with many of my clothes, I had the waist taken in and the hem brought up a bit to fit me better. 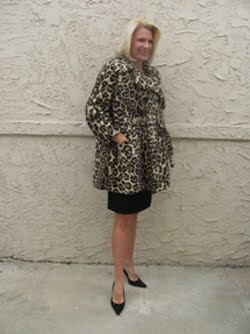 Yes, this one's too dressy for work, but it's still very versatile and has worked for me on many different occasions. On this particular occassion, I was enjoying a warm spring evening and heading up to Geoffrey's in Malibu for dinner. 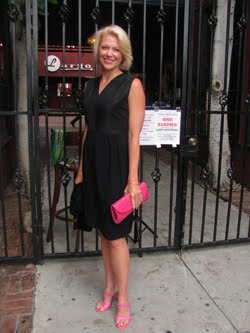 I was actually asked that night if the dress was vintage, and it was one of the rare times I said no! But I did accessorize it with vintage turquoise earrings and matching bracelet, a gold leather clutch, and strappy gold stilettos. This is but one example of the ways that vintage inspires the design of today. You might be buying something you think is completely new, but the designer of your dress is probably using vintage as its modern muse.